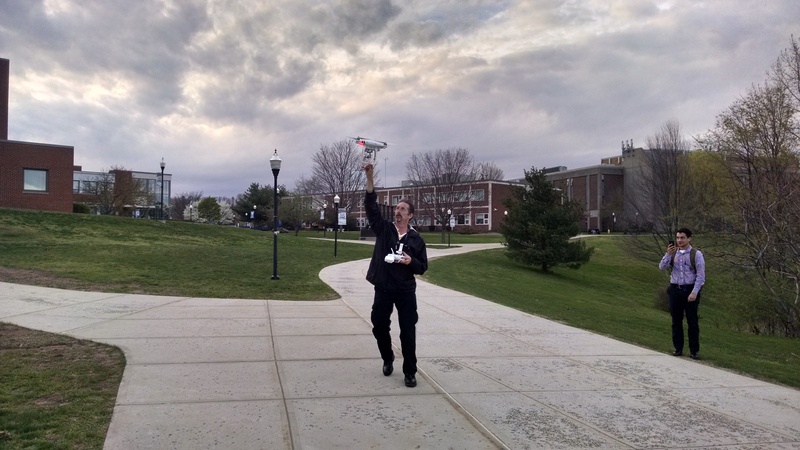 Peter Sachs demonstrates his drone at Southern Connecticut State University April 30. 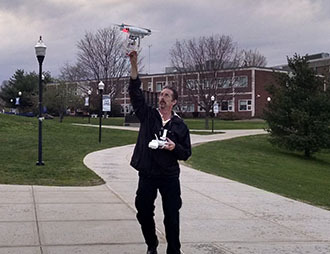 Journalists should be experimenting more with drones in their reporting, a drone expert told a group of Southern Connecticut State University journalism students April 30. Peter Sachs, an attorney, pilot and volunteer firefighter in Branford, Conn., spoke at the Digital Media Sandbox workshop. Sachs has been flying drones for the fire department in Branford since 2013, and has studied the legality of drone flights. He demonstrated the capabilities of his DJI Phantom 2 Vision+. 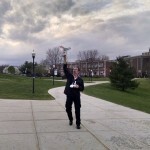 Sachs publishes updates on his website, Drone Law Journal.